WE'VE GOT YOU FROM "YES" TO "I DO"! Calling all brides to be! Part of the Team Fit Mom & Team Fit Girl Family, Team Fit Bride is focused on partnering with you from, "YES!" 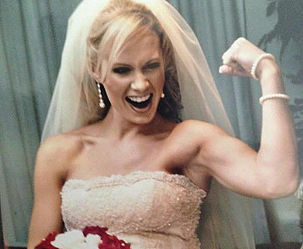 to "I DO," to achieve your desired physique for your special day!! Give us 90 days and we will get you rocking results! Planning for your wedding can be overwhelming. Taking care of yourself with a structured plan that can help increase your energy and mangage the stress so you can focus on all the details. Get the entire bridal party on board and work together so everyone can look and feel their best on the big day!